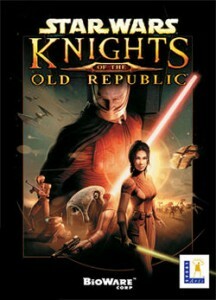 There are sooo many bad Star Wars video games that we Star Wars fans are afraid when we hear “This Star Wars game will be the best Star Wars game ever!” We say, “Yeah, right,” well KOTOR delievered. This role-playing masterpiece did not give you a light sabre to start with, nope, you get a samurai sword. It was incredible that this game nodded to one of the influences of the Star Wars films. The exploration and interactions with creatures, characters, places and building up your experience points and adding new armor and weapons is worth every minute. The moral choices and the affects it has on your character is not new, but it plays perfectly into this universe.